Can’t have kids and a career? What was long true for many parents has caused many major companies to rethink their approach. More and more of them are proving that things can be different. A family-friendly employer knows exactly how important regular working hours are for parents with toddlers and can offer various other measures to attract parents – and potential parents. 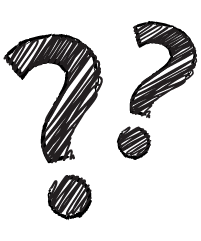 Those looking for a new job and wanting to know whether an employer is committed to reconciling work with family life should therefore pay attention in advance to a number of points. Family-friendly companies take a well-balanced approach in their HR policy. Top management and all executives are committed to family-friendly strategies, such as working hours which take account of family needs and company childcare programs. After all, if their children are well taken care of, employees can return to work earlier from their parental leave and gradually increase their working hours again – ideal conditions for reconciling work and family life in the 21st century. Family and work: What a family-friendly employer should offer its employees. In family-friendly companies, tasks are ideally distributed to teams comprising both full-time and part-time employees. In this way, all employees are always up-to-date. Family-friendly jobs are characterized by the fact that maternity leave, parental leave and stand-ins, as well as the preparation for a return to work, are regulated fairly and thoughtfully. Don't be afraid to address these issues in a job interview. To ensure that parents have the same know-how as their colleagues, they should be offered training opportunities during or immediately after their parental leave. Home office and part-time work solutions, as well as the ability to take time off using time accounts, are ideal for parents with toddlers to plan their working hours. The level of flexibility can be adjusted individually depending on the job. Close-to-home and supportive care, e.g. 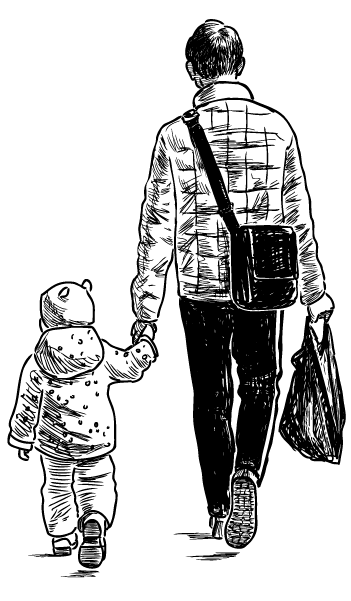 in a company kindergarten, helps parents focus on their job with a clear conscience and good feeling. 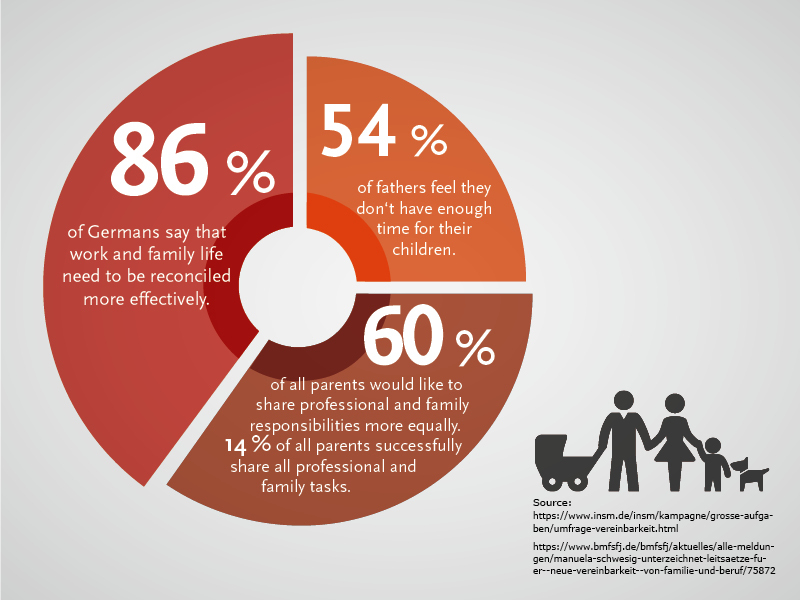 In Germany, parents have the right to take time off work if their child is ill. In a team with good colleagues, such time off is therefore no cause for friction. If the kids are happy, so are the parents. This is also proven by a special pilot project in which there are only winners: in coordination with the State Youth Office, the Youth Welfare Office and the Economic Development Board of the town of Minden, various local companies have planned and implemented a new day care center for children. 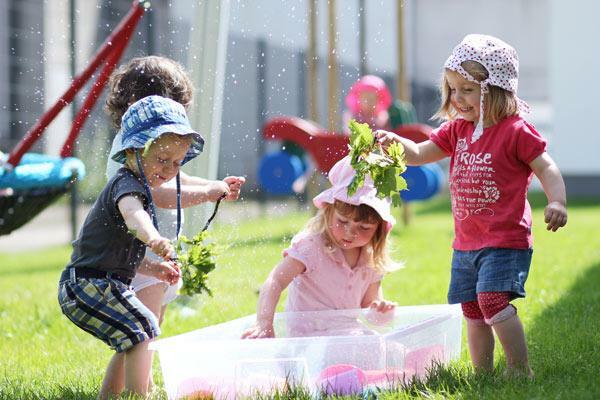 It took seven months for “Löwenzahn” (dandelion) to come to fruition – a modern kindergarten which makes Melitta even more attractive as an employer. 15 places are available for Melitta employees. Other special features of the new “Löwenzahn” day care center include group forms which can be adapted flexibly to parents’ needs each year. The size of the four groups can be adjusted according to the respective age groups: up to 25 places are available for 3 to 6-year-olds. 20 children can be accommodated in the group of 2 to 6-year-olds. And fifteen places are available in the 0 to 6 years group, or ten children aged 0-3. All in all, the “Löwenzahn” offers space for 60 to 85 children – and depending on the group constellation, it can accommodate even more. The parent-friendly opening times (Monday to Friday from 7 a.m. to 6 p.m.), the low number of closed days, and the high staff-to-children ratio all guarantee optimal care for toddlers. But Melitta offers even more for families: in emergency situations, when parents cannot or don't want to leave their children alone, there is also a parent-child office – with plenty of room for playing. It’s great if family and work can be reconciled. It’s even better to have a good work-life balance. Because if the family’s happy, so is the employee. Melitta understands this and therefore offers various leisure activities for the families of all employees throughout the year. All these measures help boost motivation, satisfaction and employee loyalty. 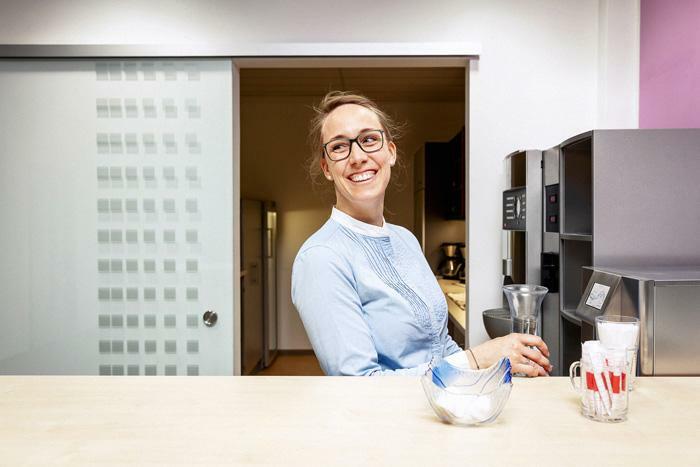 In addition to our “Open House” day, when all employees are invited to bring their families for a day of activities at the company, Melitta regularly holds company events and activities to strengthen the team spirit. Our holiday programs and various events during the Christmas season are also well received by the families of our staff. In addition, theatrical performances and action days on specific topics are held – for example for the FIFA World Cup. As a family-friendly company, Melitta is keen to make its employees and families feel good. And to ensure everyone remains fit in the long term, the company has introduced a special health management system with various healthcare offerings. These include benefits such as special health courses, health days and a massage service.